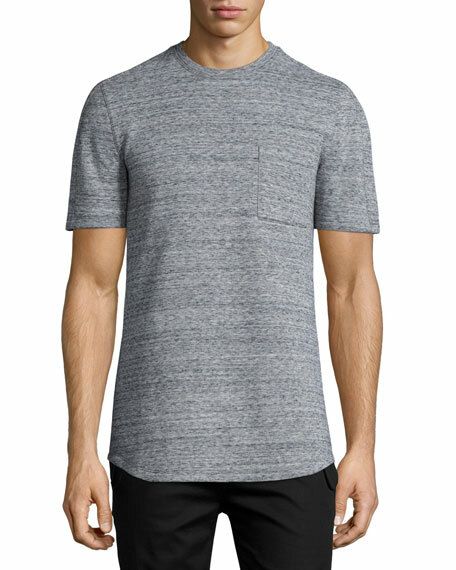 ATM Anthony Thomas Melillo slub knit T-Shirt. Approx. measurements: 27"L back; 23"L center front. Crew neckline. Short sleeves. Even hem; pullover style. Cotton/polyester; machine wash. Made in Peru. ATM Anthony Thomas Melillo jersey knit T-shirt. Approx. length: 23"L down center front, 28"L down center back. Crew neckline. Short sleeves. Even hem; pullover style. Modal; hand wash. Made in Peru. 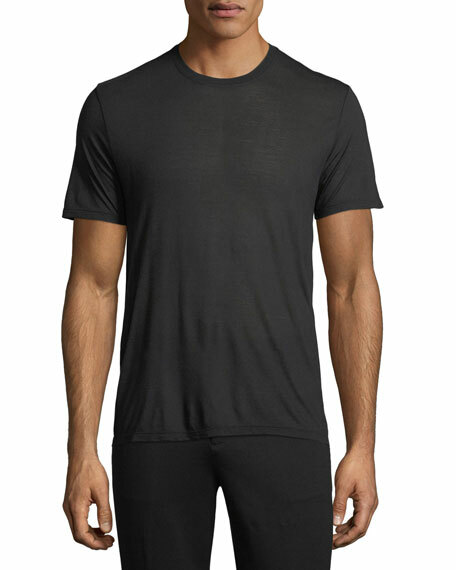 Helmut Lang melange T-shirt. Approx. length: 28"L down center front, 30"L down center back. Crew neckline. Chest patch pocket. Short sleeves. Rounded, shirttail hem. Pullover style. Cotton/nylon. Hand wash. Imported.